TDK DVD-RW. Recorded 20 minutes of footage - this disappeared after message came up saying reset device and repair disc. Continued to record about 10 seconds of footage which is visible but required all the previous video recovered. Package recieved! That's fantastic thanks for all your help. 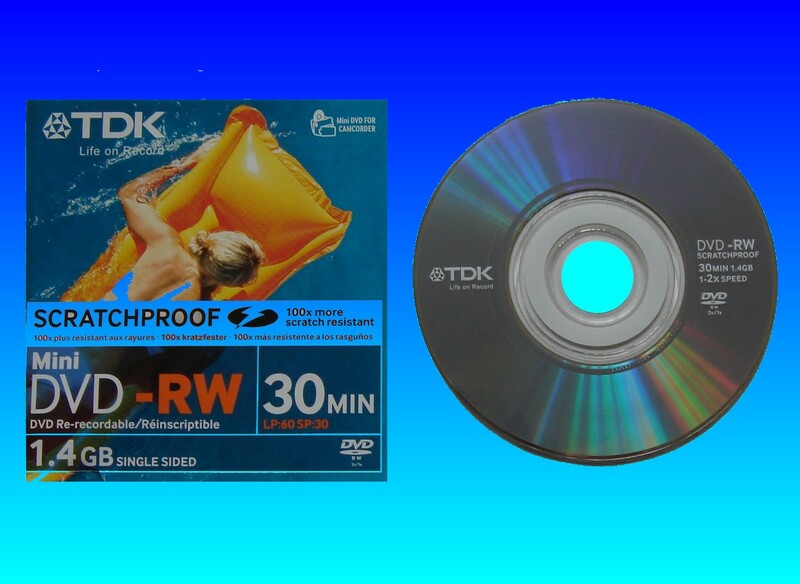 If you need a TDK DVD-RW video recovery service, then contact our friendly company. TDK DVD-RW. Recorded 20 minutes of footage - this disappeared after message came up saying reset device and repair disc. Continued to record about 10 seconds of footage which is visible but required all the previous video recovered. Package recieved! That's fantastic thanks for all your help..